There are many benefits of consulting astrologers online. Earlier, it was possible at all. You need to go to find astrologers in near, find the time or get appointment scheduled and then you get to consult them. But, now things are changed. There are many portals available which helps you to consult the best astrologers in India at just phone call. Why You choose Online Astrology Consultancy Over Offline? There are many benefits of this facility. Below we are discussing some of the benefits, do read. Online astrology consulting is quite easy and helpful. You just need to setup or schedule the call and you can ask the queries online, on call. You save lots of time by not visiting the astrologer in personal, scheduling your task to just to meet an astrologer. 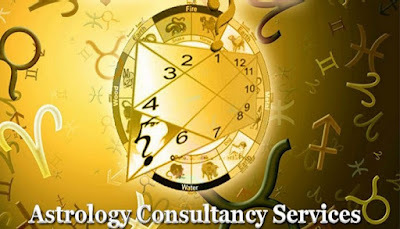 Time saving is the biggest benefit of using online astrology consultancy services. Just Pick the astrologer and talk to Astrologer online. You can choose the best astrologer among all. In local, you have to compromise with the limited available astrologers, while at online portals, you can choose the best astrologer from the list, after reading the review. So, no more compromise with the choice of choosing the astrologer. Just go to the best astrology consulting website and consult. In offline astrology consultancy, you don’t know the charges of the astrologer’s consultancy. But in online, you know how much they are going to charge for one query or two. So, there is no chance of being cheated and you can pay the minimum charges only. Not all the people ask for privacy while consulting the astrologer, but there are few people like us, who are more careful about their privacy, in that case, you must seek privacy. In offline consultancy, its not possible at all. But in online astrology consultancy, you can get 100% privacy, as the portals who provides consultancy, don’t disclose your identity at all. So, now you know there are lots of benefits of using online astrology consulting service. You too must adopt for such service, if you want to try. Than you for reading us, Astroupay.com. Every food product relates with different planets due to their color and property. Planet gets power from the food, which we eat. Therefore, one should eat that food which strengthen the require planet to strengthen. Rice: Rice relates with Moon. It keeps mind and body calm. Those who get anger or stress they should eat rice. However, if Moon is suffering with Rahu then avoid rice. Lentil: Different color lentil relates with different planets. Yellow lentil relates with Jupiter, red lentil relates with Mars, black lentil relates with Shani and green relates with Mercury. However, lentil completely relates with Jupiter. Eat yellow arhar lentil to strengthen Jupiter, masur lentil to strengthen Mars, black urad lentil to strengthen Shani and green pea lentil to strengthen Mercury. If Shani is weak then avoid having lentil. Wheat: Wheat relates with Sun. Having wheat products strengthen Sun. Those who wants physical power and fame, they should eat wheat products. Family relations improve by regularly having wheat roti. One should eat roti in afternoon. Spices: Different spices relates with different planets. Overall, spices relates with Shani and Rahu. Use turmeric to strengthen Jupiter. Cumin, clove, black pepper and big cardamom is used to strengthen Shani. Red chili strengthens Mars. Green cardamom and saunf strengthens Mercury. Asafetida, celery and cumin avoid Rahu problem. If there are problems relating to Rahu, then avoid having too many spices. Hemant: It remains between December and mid January. There would be impact of Jupiter. People born during this time would be emotional and famous. Often they go towards quietness or lonely. They should think before wearing topaz. Sapphire is extremely beneficial for them. Shishir: It remains between mid January and February. There would be impact of Shani. People born during this time would be intelligent, knowledge and artist. Sometimes, they choose renunciation. They may lose everything due to selfishness. Sapphire and diamond is beneficial for them. Vasant: It remains between March and April. There would be impact of Venus. People born during this time would be beautiful, prosper and happy. They face emotional problem. Diamond is very beneficial for them. However, one should see Venus condition before wearing it. Grism: It remains between May and June. There would be impact of Sun and Mars. People born during this time would be administrative, law administrator and politics. They face anger and long term disease. Water element gemstone is beneficial for them. Sometime, ruby is also beneficial for them. Varsha: It remains between July and September. Moon is the owner of this season. People born during this time would be emotional and sensitive. They might be on high position of physical universe or spiritual. Coral or pearl is beneficial for them. Sarad: It remains between October and November. Mercury is the owner of this season. People born during this time would be very intelligent and artist. Sometime, they may become good writer or an anchor. They should avoid agney gemstone. Emerald is extremely beneficial for them. Aries: The best friends is Libra. Make a friend of Taurus. There won’t be shortage of fame and prestige. Taurus: The best friends are Scorpio or Leo. Make a friend of Virgo. It gives success and true friends. Gemini: The best friends are Virgo or Pisces. Make a friend of Libra. This avoids harm and improves career. Cancer: The best friends are Libra or Capricorn. Make a friend of Aries. This strengthens emotionally. Leo: The best friends are Scorpio or Taurus. Make a friend of Pisces. This improves nature and reduces struggle. Virgo: The best friends are Gemini or Capricorn. Make a friend of Aquarius. It gives stability and love in life. Libra: The best friends are Capricorn or Cancer. Make a friend of Taurus. This avoids love and relations problem. Scorpio: The best friends are Taurus or Aquarius. Make a friend of Sagittarius. It keeps you disciplined and avoids going on wrong path. Sagittarius: The best friends are Virgo or Pisces. Make a friend of Aries. This gives success and support on right time. Capricorn: The best friends are Libra or Cancer. Make a friend of Aquarius. This makes you financially strong and avoids going on wrong path. Aquarius: The best friends are Scorpio or Taurus. Make a friend of Virgo. This makes you mentally and emotionally strong. 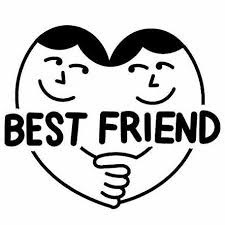 Pisces: The best friends are Sagittarius or Virgo. Make a friend of Cancer. This gives good result of child, health and success. Astrology is good way to predict your future problems and to get out of problems current problems easily. Astrology is a science, which gives you direction for life. You can get easy solution for any problems of life through astrology. Everyone faces problems in day to day life, problems like late marriages, after marriage problems, health issues, business loss, job security, growth, career issue and many more. 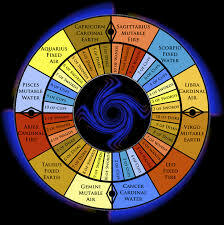 We all would like to consult to the astrologer to get through all these problems once at all. But consulting to astrologer is not easy, first you need to find trusted astrologer, and than you need to get appointment from them to consult. And meanwhile you will always face issue of your privacy. So, how to address this issue? Well, it’s easy now. 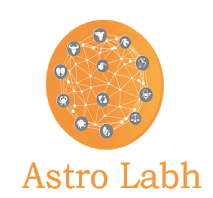 Using AstroLaabh mobile app, the new mobile app, with which anyone can now directly consult to astrologer over phone call. Yes, All you need to download this amazing mobile app, register yourself and start talking to astrologer over call. 100% Secure, 100% privacy & 100% money back guarantee. You can choose the best astrologers from the list. Celebrity Astrologers with high experience are ready to give you consultation. You can talk privately, as you don’t need to show your identity. You will be charged per min basis, Talk as much as you want. You can check Astrologer’s profile before starting consultation. After talking to astrologer, you can share your reviews on app. Astrolaabh mobile app has actually gave new turn to online astrology prediction. You can now talk to astrologer from anywhere in India and ask them any question. Just download the app, and call the astrologer and ask. Since it’s a on call consultancy app, you don’t need to do anything, just give your birth details, birth time and birth place, you will get on- call solution of your problem. So, what are you waiting for? Just Download Astrolaabh mobile app for online astrology consultation and start talking to astrologer now. There would be fast on trayodashi of every month’s paksha. 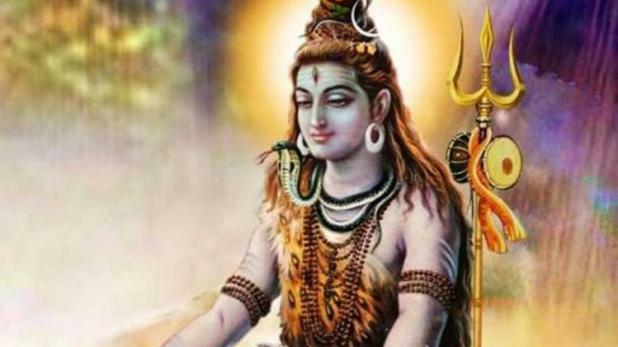 On this day, lord Shiva is worshiped. One can fulfill every desire by his mercy. There is different importance of different pradosh. There is different importance of pradosh on Sunday. The pradosh on Sunday is known as Ravi pradosh. Keeping fast on Ravi pradosh gives good health and age. This fast also gives name, fame and respect. It is also beneficial to keep fast if there is yoga of defamation in horoscope. Ravi pradosh avoids Sun related problem. On this day, take bath in morning and wear white clothes. Then, offer water and bail patra to lord Shiva. Offer white food to lord Shiva. Chant Shiva’s psalm. Also, light ghee lamp in front of Shiva and chant Shiva psalm in evening. 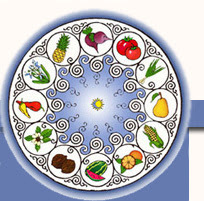 It is beneficial to eat fruits and water on this day. Do not eat grains and salt. Offer water to Sun in morning. Then, offer water to lord Shiva. First chant Shiva’s psalm. Second, chant Sun’s psalm. Donate Sun related stuff. Remember lord Shiva and take mercy from lord Sun. Aries: Son is obedient while there is no harmony with daughter-in-law. Light mustard oil lamp on Saturday to increase harmony with daughter-in-law. Avoid wearing black color clothes. Taurus: Son is stubborn while daughter-in-law is sensible and quite. Worship lord Ganesha to improve harmony with son. Plant much trees in house. Gemini: Son would be playful and daughter-in-law would be angry. They love their in-laws. Sometime, there might be conflict. Use sandalwood fragrance in home to improve harmony. 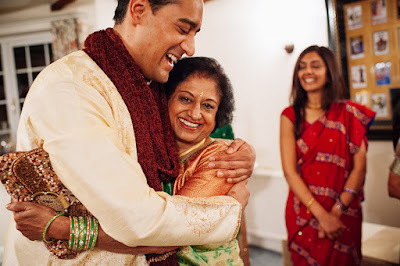 Cancer: They get happiness from son and daughter-in-law. They live outside due to career or other reasons. Sometime, there might be misunderstanding with son. Offer red flower to lord Hanuman on Tuesday to increase harmony. Leo: Son would be obedient or disobedient. Daughter-in-law is obedient. Offer water mixing turmeric to Sun if son is disobedient. Virgo: They face problems with son and daughter-in-law. Son follows daughter-in-law and do not listen anyone. The problem increases due to lack of communication. Regularly chant Shani psalm to maintain harmony. Libra: Son is obedient and daughter-in-law nature create problem. Daily offer water to Sun to improve harmony with daughter-in-law. Scorpio: Son and daughter-in-law are obedient. They are working and intelligent. Therefore, they do not express their feelings. Worship together once in a week. Sagittarius: Son is obedient however, his speech is harsh. Daughter-in-law criticizes on the back. In this case, chant Sundarkand on every Tuesday and Saturday in the home. Capricorn: Son is obedient but your nature takes him away. Daughter-in-law might use harsh speech. Take care of your nature and chant Hanuman Chalisa. Aquarius: There is good harmony with son and daughter-in-law. Son is little spiritual and very close to you. Take care of your marital life. Blow shell in morning-evening. Pisces: Son is obedient but sometime, he makes mistake. Daughter-in-law is intelligent and spends time to improve relations. Control on your arrogance. Keep many fragrance plants in your home. Good Luck: If debt increases then worships both time in the home. Specially maintain purity on Tuesday.